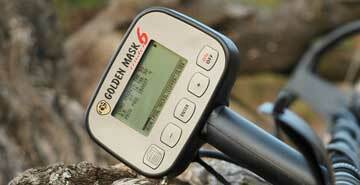 Welcome to the Golden Mask metal detectors official on-line shop! We do our best to provide great pricing, support on the purchase process and after-sale support. We are here to help. If you cannot decide what to choose or you would like some more details about a product, just contact us - we will provide all the info needed. 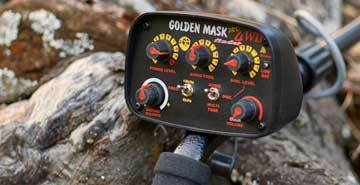 We offer the whole range of options for all Golden Mask detectors in production. We could make a custom setup on request, just tell us what exactly do you need. We provide the best after-sale service on the market. 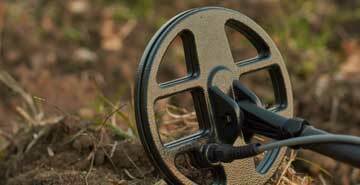 We solve all problems in a short term to make your hobby a pleasure. We offer spare parts and accessories. 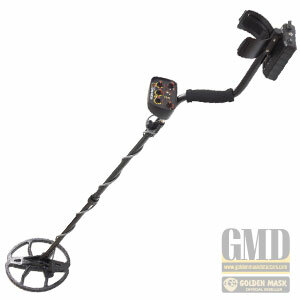 Golden Mask 4WD is an universal coin and relics metal detector, with super-fast operation, running on two switchable frequencies - 8 and 18 kHz, very sensitive to gold. The built-in wireless module transmits the signal to the wireless headphones. Price without VAT, valid for export to countries outside the European Union. WARNING! You may have to pay import taxes in your country! All Rights Reserved! © 2019 Golden Mask Metal Detectors - Linoart Ltd.
Golden Mask is a registered trademark of GM Metaldetectors Ltd. - Bulgaria!